I’ve worked very hard to create a life from which I don’t need a vacation. Of course, I’m still building and, like the lawn will always have to be mowed, light bulbs that will always need to be changed, and toilets that will always have to be scrubbed, I’ll probably always work at it. Still, three of the most important components of my perpetual construction project is location, location, and finally, location. I’ve chosen the charming Village of Warwick, New York for my job site for reasons including good schools, an eclectic creative community, and a vibrant commercial base rooted in agri-tourism. 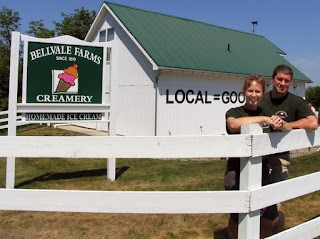 As the fall harvest approaches, any New Yorker, Bostonian, Philadelphian, or Anybodian who plans to make a visit to my little hidden hamlet, I have a few enjoyable suggestions that may just keep you coming back. At the drive-in, even a bad movie is a good movie. (See my review jof Ghostbusters Reboot Dead on Arrival.) A remnant of the post World War II industrial boom when automobiles became affordable and people needed some place to take their car, drive-ins have become as scarce as hen's teeth. The Warwick Drive-In features three screens and two first-run movies on each. At $10 for adults and $8 for children, a nostalgic night watching a movie under the stars is well worth the investment. If you shop at Style Counsel located at 19 Main Street, make sure you say, "Hi," to Tim. No matter whether you shop for only practical reasons like I do or you shop for sport like some ladies I know have, Main Street in Warwick is the place to go. From housewares and decorating needs (at Newhard's), the latest in stylish clothing (at Style Counsel), jewelry (at Forever Jewelers), craft beer (at Craft Beer Cellar), and almost anything between, before, or after, shopping on Warwick Main has something for just about everyone. While there are a number of wineries in the Warwick Valley that offer food, entertainment, and, yes, wine, for my money, Clearview Winery offers the best of the latter. I think, honestly, the reason Clearview Winery produces the best tasting wine is the fact that owner, Frank Graessle, supplements his grapes with both Long Island and California grapes. After sampling the varietals with your date, pick your favorite, and take a glass to the top of the vineyard for a great, “clear view" of Sugarloaf Mountain. 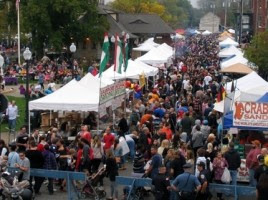 With humble beginnings as a harvest festival in 1989, Warwick AppleFest has grown into the largest annual event in Orange County drawing more than 30,000 visitors who enjoy live music, food, games, rides, and, of course, everything apples. 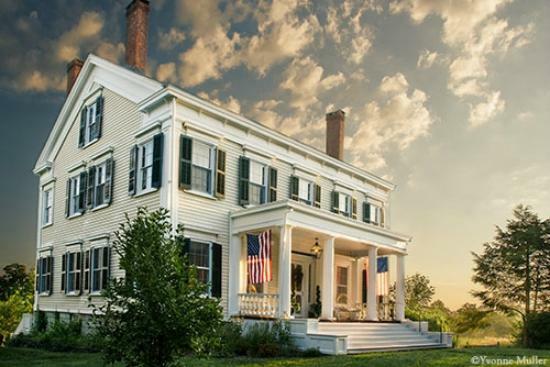 If you plan to attend this year's edition of Warwick AppleFest on October 2, 2016, book your reservations now at one of the many charming area bed 'n' breakfasts. Offering another great view, this 7.3 round trip hike is a great family activity that begins on Route 515 in Vernon, New Jersey, includes boardwalks, a suspension bridge, across Route 94, and a moderately challenging hike up the Stairway to Heaven, also known as Waywayanda Mountain. A shorter version originates at Route 94. The view from the top is, in fact, heavenly and reaches its pinnacle during the change of the seasons in late September and through late October. Rainy day? No problem. Voted the Best Small Library in America 2016 by the Library Journal, The Albert Wisner Public Library is a part of the Ramapo-Catskill Regional Library System. If a volume isn't at the library itself, one of the helpful staff can have it in a day. Moreover, the perennial list of programs for children includes author visits, cartooning, cooking, Lego building, and much more. 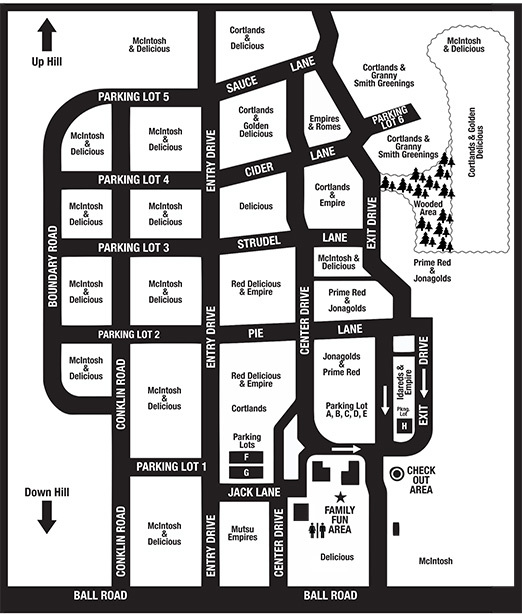 A fun father/children or father/date activity, Maskers Orchard is the first among the many area orchards that commuters from Northern New Jersey and New York City encounter as they enter the Town of Warwick on Route 17A through Greenwood Lake. Beginning in September, Maskers features live music, pony rides, a market, a maze, and more. Maskers also happens to grow the best tasting example of my favorite variety of apple. No, I won’t tell you the name because all of you will pick the trees clean and won’t leave any for me. Bring a picnic and spend the day. Be prepared for a trunk search by a teenage employee as you drive out to prevent apple pilfering. The cost for a half bushel this year is $27.95. 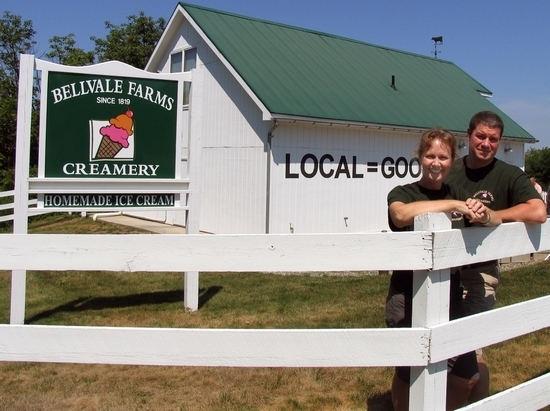 TripAdvisor.com ranked Bellvale Farms Creamery as the second best ice cream stand in the United States. (The first must be pretty amazing.) Amy and Tim Noteboom’s store located at the top of Mount Peter half way between the Village of Warwick and the Village of Greenwood Lake not only offers a wide variety of ice cream flavors made from milk and cream harvested from its own dairy cows just a couple of miles away, but also provides a breathtaking view that includes a birds of prey migratory path, the Poconos to the west, and the Catskill Mountains to the north. In the spirit of full disclosure, my Second Beautiful Daughter works the counter. If you see her, say, "Hello." Produced by Bill Iurato, owner of Peck’s Wine and Spirits, the Warwick Summer Concert Series features top musicians from the region and beyond. The 2016 series has included Free Shrimp Band, Mark Egan, and New York Swing Exchange. Still to come are Emish, E’lissa Jones Band, Frank Vignola, and Some Guys and a Broad. Grab a lawn chair, cheese and crackers, and a cooler. You won’t need any cash, though. The Warwick Concert Series on Railroad Green is free. Enjoy your visit. If you see me walking around or having a cocktail at one of the many Village of Warwick bars or restaurants, please say, “Hello.” Oh, and of course, stop into Ye Olde Warwick Book Shoppe and get a copy of The Single Father's Guide to Life, Cooking, and Baseball. Thanks.